M. africanum (Maf), a part of the Mycobacterium tuberculosis (Mtb) complex, is a rare cause of pulmonary tuberculosis in the Western World, but a common cause in West African countries. Awareness of the similarities and differences between Maf and Mtb is crucial in enacting more nuanced and effective treatment of infected patients. There is currently limited research comparing clinical manifestations and outcomes in patients with Maf and Mtb. Current research indicates that Maf may be a less virulent strain of TB that is harder to clear with standard RIPE therapy. Here, we present a case of a pulmonary Maf in a 36 year- old man from Ghana who was started on standard RIPE (Rifampin, Isoniazid, Pyrazinamide, and Ethambutol) therapy without adequate clinical response after an appropriate time. 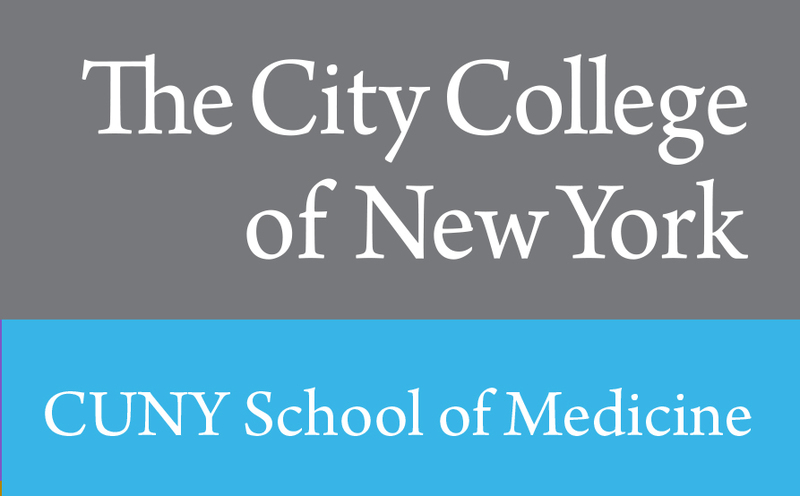 Initially, this was felt to be secondary to resistance but was ultimately reported by the NYC Department of Health (DOH) as Maf instead, resistant to Isoniazid and Streptomycin. Final sensitivities ultimately revealed pan-sensitive organism by the NYC DOH. This case demonstrates that pan-sensitive M. africanum is in fact more refractory to standard treatment than M. tuberculosis despite lack of resistance, and correct identification can lead to effective treatment in resistant cases. A 36-year-old male with a past medical history of asthma and pre-diabetes who had recently immigrated to the United States from Burkina Faso, West Africa six months prior to the hospital visit, presented to the emergency room (ER) initially with complaints of chest pain of six months duration. The chest pain had worsened in the three days prior to this visit. The pain was substernal in location, burning in nature, 5/10 in intensity, without radiation and specific alleviating or aggravating factors. A review of systems was negative for signs of urgent cardiac or respiratory causes, and the initial physical exam was unremarkable. Laboratory studies done in the emergency room were also unremarkable. The patient was discharged from the ER with a follow-up in our osteopathic medicine therapy (OMT) clinic for possible costochondritis. Two months after the initial visit, patient was seen in the OMT clinic and on further questioning, he reported an eight month history of headaches, associated with fever and night sweats. He also complained of cough, productive of blood tinged sputum of two months duration. Patient reported that his roommate was being treated for tuberculosis. The patient was transferred to our ER for evaluation of possible tuberculosis. In the ER, the patient was vitally stable. Physical exam was then notable for cachexia with a body mass index (BMI) of 19.1, or 84% ideal body weight (IBW). Laboratory studies were significant for iron deficiency anemia. Otherwise, serologic studies including a comprehensive metabolic panel were within normal limits. With an informed consent, an HIV test was performed, and negative. 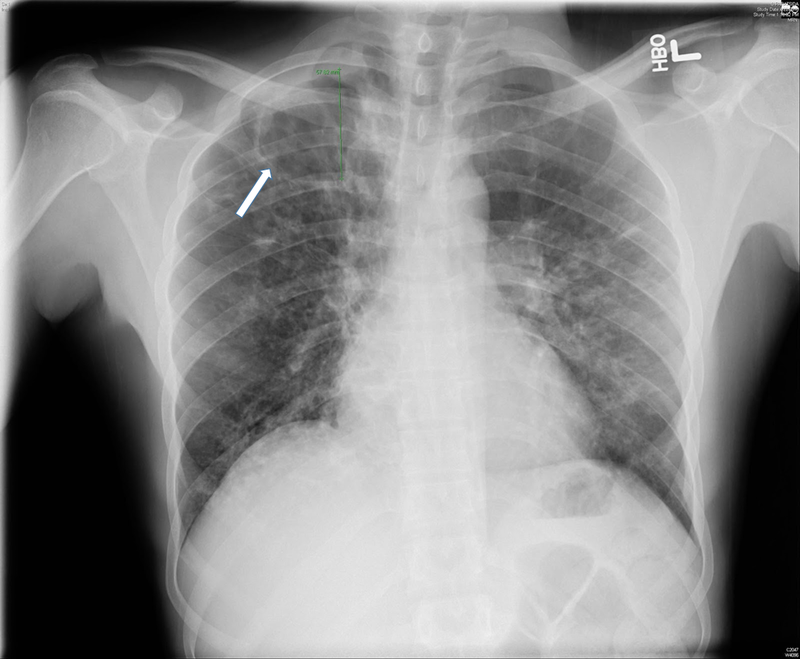 Chest x-ray showed a 5.8cm right apical cavitary focus and interstitial lung disease (Figure#1). 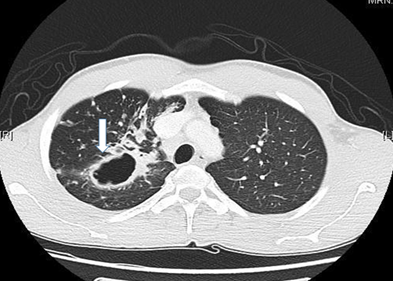 A CT scan of the chest was done, which showed multiple cavitary opacities in lungs, largest in the right apex, and coexistent diffuse peribronchial thickening and peribronchiolar nodules. Diffuse mediastinal and right hilar lymphadenopathy was also appreciated (Figure #2). The patient was started on standard RIPE course of treatment for Mtb. Sputum samples for acid fast bacilli were ordered (Figure #3). Sputum culture was ultimately reported as M. africanum. Our patient continued to have low grade fever and persistent AFB-positive sputum samples despite three weeks of treatment. Treatment resistance was suspected, and preliminary resistance testing was done by the New York DOH which showed Mycobacterium africanum resistant to isoniazid and streptomycin. Isoniazid was then discontinued and levofloxacin was added to the treatment regimen. On day 34 of the new regimen, patient finally showed negative AFB sputum smears. On day 55 of treatment, patient had three negative sputa samples for AFB and he was discharged with an appointment at the NYC DOH’s direct observation therapy program. Final sensitivities came back as pan-sensitive M. africanum. This case demonstrates prolonged disease due to M. africanum as compared to M. tuberculosis despite adequate treatment with anti-mycobacterial medication for both sensitive and resistant strains. Mycobacterium tuberculosis-complex consists of five species: M. tuberculosis (Mtb), M. bovis, M.africanum (Maf), M. microti, and M. canetti. M. africanum was first isolated from sputum of a patient from Dakar, Senegal and described in 1968 by Castets et al. 1 M. tuberculosis and M. africanum are the primary cause of tuberculosis disease in humans, and are both spread by aerosol transmission. 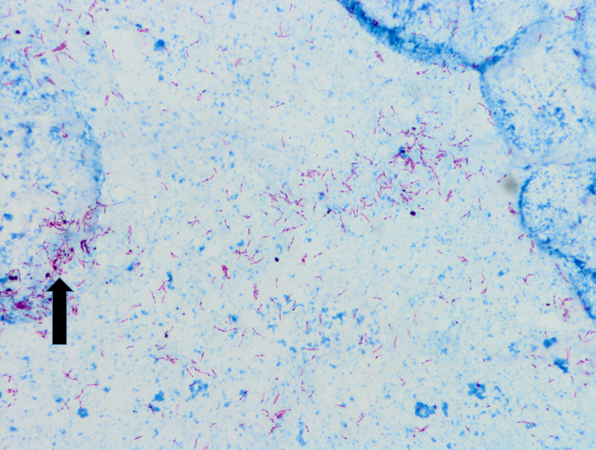 Maf is endemic to equatorial Africa, causing up to half of all cases of tuberculosis, but it can also be found in Europe, Brazil and the United States. Data from CDC between 2004 to 2013 demonstrated that from all 125038 cases of tuberculosis in the USA, 315 (0.4%) were caused by Maf and 71,727 (97.9%) were caused by Mtb. 2 M. africanum is a rare cause of tuberculosis in the USA. From all states that reported more than one case of tuberculosis from Maf, New York reported 77. Studies done in the United States suggest that Maf has a similar clinical presentation, social risk factors and treatment outcomes when compared to Mtb, but that the latter has a significantly quicker response and recovery from the disease. It is unclear whether Maf’s slower response and recovery from disease is due to differences in virulence of the strains, or differences in the comorbidities of hosts. This case demonstrates these characteristics in a cachectic, poorly nourished, pre-diabetic, and thus possibly more vulnerable, host. Analyses of Maf’s microbiological makeup have shown it to have higher degrees of variability in its phenotypic attributes than Mtb and M.bovis. 4 Although seemingly rare in the Western world, Maf appears to also have a higher predilection for latent infection in HIV positive, or malnourished patients relative to active infection, thus it may be more prevalent than reported. 5 More research is necessary to determine the actual prevalence of Maf in immunocompromised hosts with active and latent TB infections, to be able to know the reason behind refractory cases and create more targeted therapies. Awareness of the patterns of infection, the hosts most at risk, and the similar and different characteristics of Maf when compared to Mtb are necessary to better treat resistant cases in the community, especially a community with larger populations of immigrants from Africa. Castets M, Boisvert H, Grumbach F, Brunel M, Rist N. Tuberculosis bacilli of the African type: preliminary note. Rev Tuberc Pneumol. 1968;32:179-184. Sharma A, Bloss E, Heilig CM, Click ES. 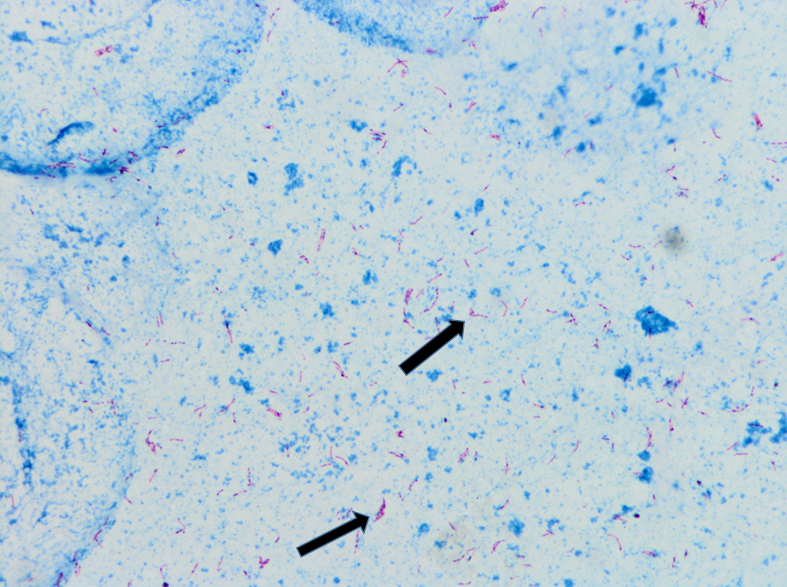 Tuberculosis Caused by Mycobacterium africanum, United States, 2004–2013. Emerging Infectious Diseases. 2016;22:396-403. Jong BC, Adetifa I, Walther B, Hill PC, Antonio M, Ota M, et al. Differences between TB cases infected with M. africanum, West-African type 2, relative to Euro-American M. tuberculosis– an update. FEMS Immunologic Medical Microbiology. 2010; 58: 102–105.